Protects your 12V lead acid batteries from overcharge. It is to be used with any P3 Solar / Global Solar charger over 12W and can handle up to 100 Watts of power. 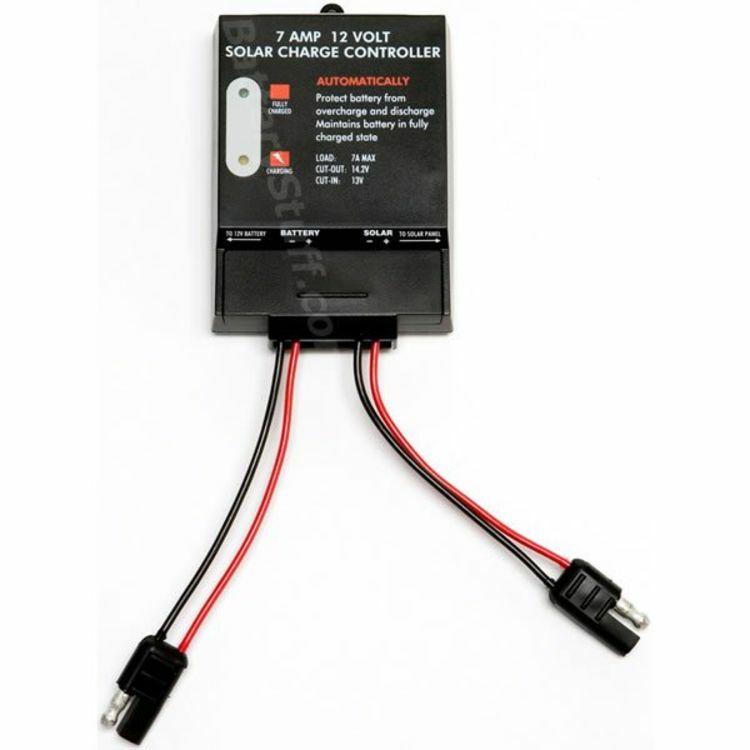 With the attached SAE trailer plug the 7 Amp Solar Charge Controller can connect directly to the solar charger and the remaining SAE trailer plug can connect to any other accessory cable. This controller is specifically meant to be used with our P3 Solar foldable solar panels, as it has its polarity reversed versus other SAE adaptors. Do you own the GS12V7A? Please, tell us what you think about it. It helps us provide you with better products. Please note that it may take up to 72 hours for your review to appear. Pros: This is an easy to use charger with no adjustments needed. It does its job. I use these in two vehicles (this my second purchase) that do not get driven very often. I would recommend using the 12v 12 Watt Sunlinq or larger as the 6 watt does not get the output voltage above 12.5 volts when used on the dual batteries in the diesel pickup. The lights (less) are easy to see and this is small enough to toss into the glove box when not in use. The folding solar panel also fits nicely in the box.